Our friend Carol invited us out to visit the fruits market this afternoon. The prices of the fruits and veggies were so much cheaper than grocery stores and the selection was so much fresher as well! The best part is, it’s really close to the residence. I see myself regularly getting my suggested intake of vitamin C.
We headed out to Pho Diaz once again to celebrate Cat’s half birthday. To briefly explain the concept of half birthday, none of us Canadian girls have birthdays in the first half of the year, so we decided to celebrate our half birthday instead. For example, my birthday is November 26 so my half birthday is May 26. 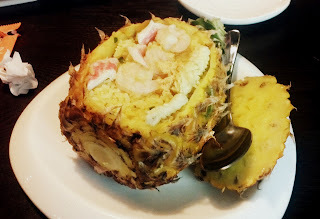 Anyways, I was once again last to get my food but the rice filled pineapple was worth the wait. I love food in fruits! 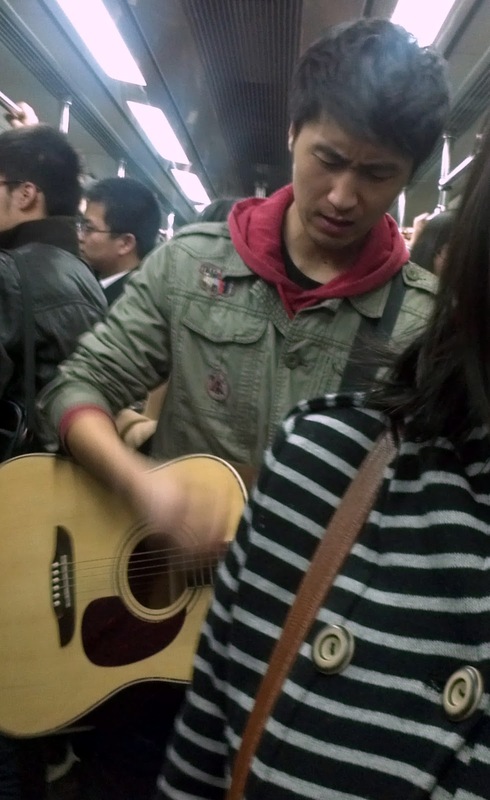 Fact: People go train to train busking on the subway. There are usually creepy people with their mics, freaky music, and canes but tonight there was a dude with an acoustic guitar and a nice voice. A different scene, but a much nicer one. Awesome.I myself is from South Korea. This looked like a really really fun day.